Zimbabwe’s trauma continues. The Zimbabwe Election Commission has announced a landslide victory for ZANU-PF. ZANU-PF reportedly took two-thirds of the parliamentary seats and President Mugabe won 61% of the presidential vote, with Morgan Tsvangirai picking up 34%. MDC-T has called the elections ‘a sham’, ‘a farce’, ‘null and void’. GNU education minister, David Coltart, argued that “Zimbabwe has been subjected to electoral fraud on a massive scale”. Tendai Biti called it all a ‘loquacious tragedy’. Meanwhile, the official observers from SADC and the AU have called the election ‘peaceful, credible and efficient’, ‘free and peaceful’, reflecting ‘the will of the people’, with high turnouts and orderly voting. Some have called for a rejection of the ballot and the staging of mass resistance. Baba Jukwa, the massively popular Facebook avatar with 350k ‘likes’ who claims he is a disaffected ZANU-PF insider, has declared war. First time voters denied the chance to vote as they were not appearing in the voters’ roll and their registration slips had missing ward details. A joint statement from the NGOs rejected the election results. The AU observer team also expressed ‘grave concerns’. The UK and the US have also called the elections ‘flawed’. China, India, South Africa and others have remained silent so far, although this is how it was reported in the China Daily and The Hindu. The scale and implications of the problems remain unclear. Claims and counter claims are being made. In a small country, rigging the vote by over a million is a hell of lot, especially consistently across presidential, parliamentary and council elections. The turnout was high at around 3.5m, making it even more challenging. Maybe they did win as many had expected, but perhaps not by as big a margin as declared. However, suspicions of foul play are running high. ZANU-PF is a sophisticated and ruthless operation. Such suspicions are increased by bizarre rumours about dodgy security companies, Israeli pens in the voting booths where the ink disappears, special ballot papers with watermarks with crosses against ZANU-PF already inserted and a specially imported Chinese solution for removing the pink ink from voters’ fingers. No-one really knows what happened; and we probably never will. The final tallies are being published (check here and here for details), but the scale of the ZANU-PF win is clear. What is for sure is that the disputes over the results will run and run, with legal challenges to follow. If the confusion and uncertainty persists, the tentative recovery that had been nurtured since 2009 may be quickly wiped out if a new government does not move quickly to assure investors, donors and others. What to make of it all? I am unsure, but here are a few quick reflections and some links to some interesting sources and commentaries that I have found over the last few days. The rehabilitation of the image of ZANU-PF and President Mugabe in particular has been striking. For example on a flight from Addis to London, a colleague of mine was handed a copy of the New African, with a special glossy insert feature on Zimbabwe. It had articles from all the leading presidential candidates, but in the small print you could see that it was produced by the Ministry of Information. The message was clear: Zimbabwe was back on track, and Mugabe was in charge. The MDC formations meanwhile were floundering. While having some successes in government – notably on the economy (under Tendai Biti) and in education (under David Coltart) – in many people’s eyes they had been tainted by power, lacking ideas and vision, and reverting to the corrupt practices that they had criticised in opposition. The election manifestos of the main parties (ZANU-PF, MDC-T, MDC and ZAPU) were predictable enough, but none really fired people’s interest. 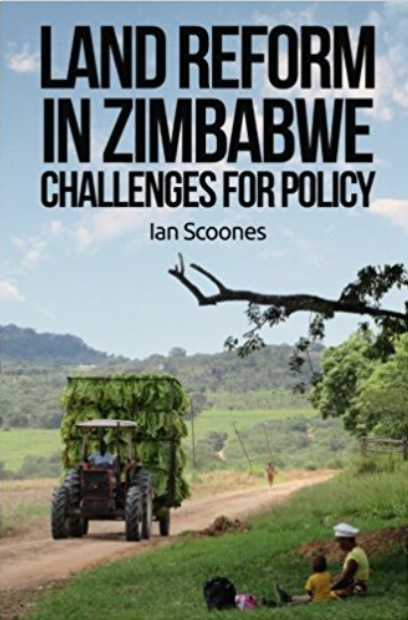 The issue of land was of course ever-present in the electioneering discourse, deployed in particular by ZANU-PF to bolster its nationalist and rural credentials. The MDC groupings, even after over a decade, sadly still failed to offer a convincing alternative narrative on land and rural development. Of course the elections were not being fought on such policy issues. Those opposed to ZANU-PF however failed to broker a coalition of opposition, and the vote was often divided, particularly in Matabeleland, but also in some urban centres, including Masvingo. David Coltart of MDC-N for example lost his seat to a MDC-T candidate. Political and personal differences, combined with narrow regionalism and factionalism, provided a perfect opportunity for ZANU-PF, despite it also being divided and weak. This was Zimbabwe’s first electronic, Internet age election. There was hope that these mechanisms – checking voter registration, crowd mapping election violations, posting votes, monitoring election sites and mapping results – would bring greater transparency and accountability. There was an impressive array of engagement, from the 7000 ‘citizen monitors’ deployed by the ZESN to the websites of Sokwanele, MyVote and Simukai. Twitter and Facebook pages have gone wild, with intensive commentary and debate not least via the Baba Jukwa pages. But, in the end, it didn’t seem to have an impact on the legitimacy and credibility of the process. Too many questions remained unanswered, and confusion still prevails, as the various ‘independent’ observers and monitored contradicted each other, declaring either the elections broadly free and fair or discredited by foul play. The international media has as a result of all this also been deeply confused. No-one is quite sure what to make of it all. As Andrew Harding of the BBC commented, there is now a battle over the narrative of the election, not the specific results. Some of the media had decided what the narrative was before it was held, but there has been some thoughtful commentary too. Lydia Polgreen of the NYT was typically nuanced, bringing in the land dimension into one of her pieces. The FT had a good article on the key role of the military. David Smith of the Guardian had a few good pieces too. Also, African Arguments posted several good commentaries in the build up, including by Brian Raftopolous and Simukai Tinhu. And then there were the bloggers and the twitter sphere, with #zimelection carrying all sorts of commentary and links; some sensible and sound, some weird and whacky. The political uncertainty that these elections have delivered means that, sadly once again, the immediate future is in the balance. Whoever individual Zimbabweans voted for, the final overall outcome may not be what anyone wanted – which was peace and stability. As a friend commented on the phone from Gwanda just now: “It’s trouble again”. Let’s hope that a spirit of accommodation and compromise prevails. In the next period at least, ZANU-PF can organise the succession from Mugabe from a position of strength, and the opposition will have to regroup again, probably under new leadership. The political landscape has certainly changed with this election, but the full implications still remain unclear. Perhaps worth a mention that the Zimbabwean diaspora were denied the vote. These, typically well-educated, people are said to number 3+ million. The Zimbabwe Election Support Network (ZESN) is a recipient of grants from Freedom House, the National Endowment for Democracy, and George Soros’s OSISA. So why would anyone take any of their claims seriously, especially if they base their claims on projections about what the voter turnout should have been? How can we be sure that they are not merely there to disavow the election result if it did not favour their candidate? There is an excellent article on the reasons ZANU-PF won, from Denford Magora. Or check out his blog. Here is something else. The MDC (the party of free trade, deregulation and above all privatisation of everything that is not nailed down and everything that is) put in it’s manifesto that they would *nationalize the diamond fields*. The implication is that they wanted to create a PPP or ‘Joint Venture’ monopoly with De Beers, just as De Beers has in Botswana (Debswana) and Namibia (Namdeb). Zimdeb? Debzim? Ian, when are we going to remove the misleading moniker NGO (Non-Governmental-Organization) and replace it with the correct description of these entities, ie WGFO (Western-Government-Funded-Organizations, Wegfors is short)? This way, we remove the confusion that inflicts people when they have to absorb information from orgs such as ZESN. Many people are being told that ZESN is an independent org. True, its independent of Mugabe’s government, but, is it independent of USAID or DIFD in the US and the UK? If its accepted that any org funded by Mugabe will be biased towards him, why would we think orgs funded by western governments won’t be equally biased towards their paymasters? Additionally, I am surprised that for someone with such intimate knowledge of the urban/rural demographics in Zimbabwe, you would get carried away by the nonsense that was baba Jukwa and all those twitter shenanigans on Sokwanele’s website! Was it not obvious that baba Jukwa’s likes were coming from diaspora Zimbabweans who could not vote and solidarity whites from across the globe who were excited to see the “black Hitler” get his comeuppance? Forget the rural folk, how many urban people do you think bothered to follow Sokwanele and its secondary sites? Finally, Its not true to suggest we will never know what happened in these elections. The margins were too wide and the political shift too evident to even doubt that MDC lost and deserved to loose! Engaging in these debates about how good MDC’s chances were is as misguided as debating whether what happened in Egypt a few weeks ago was a coup or not!! @ IanScoones: I detect an ominous tone in your closing paragraph(s). I’m interested to know why. Is it possible to elaborate? Your tone is most certainly ominous in closing. I’m sad that you won’t elaborate. There is too much politicized information about Zimbabwe. Said by whom? What are their sources? The number of Zimbabweans claimed to be in South Africa for instance was usually dramatic, and completely unsourced. And subject to inflation. It used to be 3 million, then it became 4 million, then even 5 million, to ‘half the population of Zimbabwe is in South Africa’. of South Africa, there are only 1.6 million foreign nationals in South Africa. So how can there be ‘millions’ of Zimbabweans in South Africa? There aren’t even 1.6 million Zimbabweans in South Africa, because all foreign nationals in South Africa cannot be Zimbabweans. There aren’t, and it is sheer propaganda. Next time, ask people to cite their sources when they make another dramatic claim about Zimbabwe or Africa. Given that Mozambicans are the majority foreign population in SA, it makes the Zimbabwean immigrant population well under 700 000! Just as the Wits university had surveyed a few years ago! -2 million youths unregistered to vote, even as the register shows over 90% of eligible voters had been captured. Just look at how today we all woke up to blaring headlines of Zimbabwe exporting uranium to Iran! Even as there is not an ounce of the mineral mined anywhere in the country at the present moment! Continue to observe some media ignoring the original source of info, Gift Chimanikire, as he walks back the claim, while they continue to advance the notion of the export! Now, in a study was published in South Africa, where the author’s sampled exiles’ opinions regards Govt policy[policyhttp://www.queensu.ca/samp/sampresources/samppublications/policyseries/Acrobat29.pdf], only 11% approved of ZanuPF. So, on a basic calculation, let’s say that for the above total, 11% would vote for Mugabe [ 1693280 * 0.11 = 186261 ]. That leaves us with 1507019 exiles that lean toward the MDC. If we then assume that 75% of this total is aged over 18, then we can rightly assume that 1 130 264 exiles would have likely voted for the opposition, swinging the vote away from Mugabe. There you have it. The empirical data that show why the diaspora were denied the vote. Feel free to refute these figures, but please provide references and the data. William Doctor, I went to some of the links you provided. The Queens university one does not work. The UNHCR is pasted below and is a speculative joke that does not have its own independent research! If you are going to quote the 1,2 million from above, why not just go for the jugular and pick the 9 million instead? A full 3/4 of Zimbabwe being in SA! Its amazing how the UN attaches itself to such shoddy work! Why are you afraid of the ONLY academic research available from Wits university? My estimate of 1-2 million is in the lower range, and can be assumed to be realistic. I have no idea why you refer to 9 million because I do not quote this number. Again, please provide data and references. Just a correction, I meant to say Table 3.6, not 3.5 of the 2011 population census.